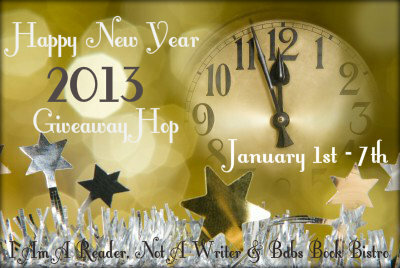 Welcome to the Happy New Year 2013 Giveaway Blog Hop! I'm excited to be a part of this blog hop. Giveaways are tons of fun, especially when a ton of people are doing them at once. For this giveaway I am giving away a book or e-book of choice of a value up to $15. The giveaway is international as long as the Book Depository ships to your country. If you live in the US I will most likely buy the book from amazon. Check the prices on both. To enter this giveaway use the rafflecopter form below and then use the link form below that to hop to the next giveaway. Have a happy new year everyone and I hope you all win some awesome books! Feel free to leave a comment telling me what book you would like to win or even any of your New Year resolutions if you made any. I would love to hear about them. Happy New Year, love!! Wishing you an amazing and beautiful 2013! Love you!